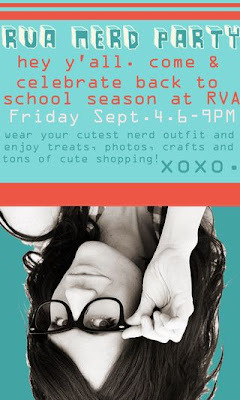 Check out the latest in RVA news on Elsie's blog here and here. 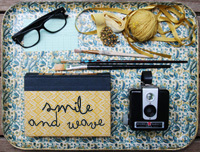 Elsie is representing RVA at the Renegade Craft Fair in Chicago this year! We all wish we could go but we're so excited that RVA will finally have a booth in one of these great venues. This weekend will be full of working on my product to send in her car before Sebastian and I head out to Central CA for a week long visit with my parents. I'm super excited to be going on a road trip as I've been itching for a change of scenery since July! We'll miss Brett while we're gone but he's got to stay here to work, study and outrun all the other guys at PT. I've got plans to hang out with this girl for a whole day in San Jose and get my hair cut by her stylist who actually happens to know how to cut and style curly hair! What a concept! 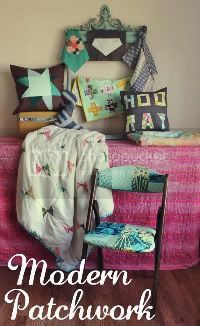 It's going to be a rainy weekend here which makes me want to sit on the couch and crochet with some coffee and a good movie but we all know there is plenty of time for that...um...some other time. A really fun stomach bug has kept me close to home so it's time to catch up on some work! What are you doing this weekend? And are you feeling Fallish yet? If San Diego were a few hours closer, I'd be there! My dad said Fresno has had 100 degrees this week. It's what I've grown to know as normal summer weather so all of this rain and mid 80's in Missouri is throwing me off! I can't say I hate it, though. it's actually much cooler today than it has been--hopefully the trend will continue! i will be out and about around the bay area hunting down treasures this weekend (henry will be with his daddy) and thinking of you doing the same! i hope you and sebastian have a great flight and a fun, relaxing weekend at home. My hair has been exactly the same since I was 18 years old....I AM 32!! 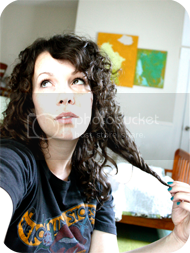 I have yet to find someone who understands how to cut and/or style curly hair. Please keep us posted on how it goes...i might have to book a flight. im dead serious. I can't stand this SoCal heat. I'm so ready for fall. Fresno is pretty hot, but it's worse when you're driving around with no air-conditioning. Eeeek. Have fun on your trip. Ha! 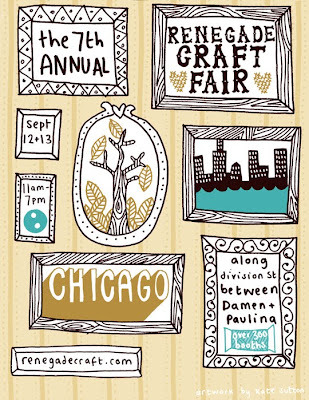 I'm flying to Chicago this week to go to the Renegade Craft Fair-wish you were there Rachel, I would have loved to meet you in person! Ha! i totally feel your pain with the curly hair scenario. It's sooo hard to find someone who knows how to cut it!